The bedroom is, for most people, the only room in the house where they can truly relax! Despite being shielded from the public eye, the bedroom deserves as much respect in terms of aesthetics and functionality, as any other part of your home. 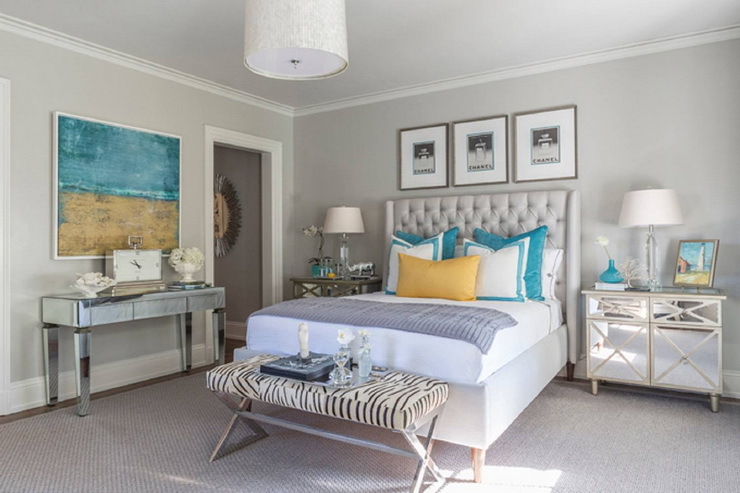 For one, a well-designed bedroom can contribute a lot to how fitfully you sleep. A claustrophobic one, or one with an inappropriate colour scheme would pretty much ruin the environment that’s meant to keep you relaxed and in a positive state of mind! To make sure your bedroom is just right, you must avoid these mistakes at all costs! Here are a few mistakes that can take your bedroom from dreamy to nightmarish! Your bedroom is your sanctuary, and the colours should reflect this mood! Bright, bold colours are associated with creating an active environment, which might not be the aura you are looking for in a room meant for rest and relaxation. To create the right mood, you need to stick to lighter and softer shades like blue hues, whites, neutral grays and vintage pinks. The bright and bold colors on the other hand (such as oranges, yellows, and reds) are well-suited for high-energy spots of the home like kitchens, living rooms and dining areas. If you really feel like going for something more saturated, opt for navy or deep charcoals. Your bedroom should be as clutter-free as possible. There is nothing better than a spacious room to retire to, where you can breathe easy and forget the burdens of the world! You can have wardrobes with overhead cabinets or lofts to store all the stuff you don’t need on a daily basis. Additionally, choosing a bed with storage space is a wise choice. Installing shelves along the walls can also help manage the mess! While it’s ideal to have windows in the bedroom for ventilation and natural brightness, too much of it can actually ruin your sleep cycles! In such a situation, using solid panel shutters is a good way to block the unwanted light (and unwanted noise) to ensure quality sleep. You can also use a permanent window film to cover-up the lower part of the windows. And further, a full-length voile curtain would do to retain light when required. In addition to natural light, your bedroom also needs general lighting. Opting for recessed lighting fixtures with a dimmer to control brightness works just fine! 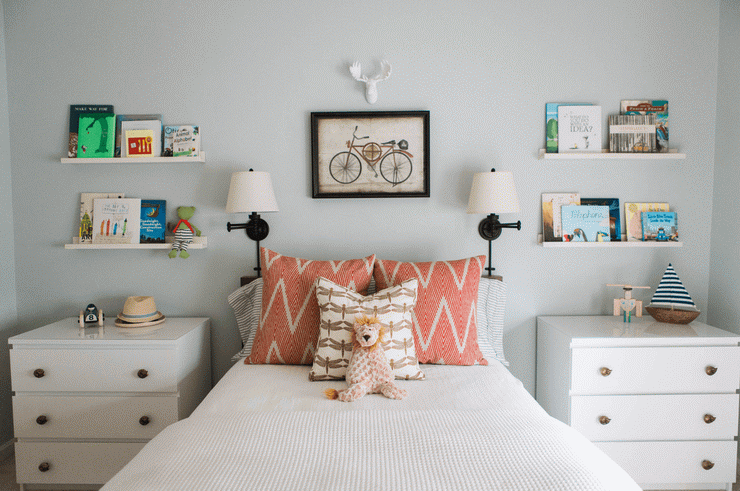 If you love reading before bedtime, you can always get sconces, or bedside lamps. Cramming the bedroom, or any room for that matter, with too many accessories can kill the mood! Not that you should keep it spartan - after all, you don’t want want a bedroom that looks like a hotel room, right? You can always decorate the walls with a piece of art, preferably something that soothes the senses. A trendy floor lamp can also be an interesting addition, if you don’t have too many lighting fixtures. Less is more, when it comes to decorating the bedroom! Sometimes, you got that one corner bare because of the layout of the space and you can’t think of what fits in, right? There are a number of smart ways you can fill it with a reading nook by adding up a chair, a table, and a lamp. Other options are a bench or a flower vase. On the safer side, add a luggage rack to it. It will fill up the empty corner and free some space from your closet to add some new clothes, Yeah? It’s a Win-Win situation then! You cannot do much about the size of the bedroom, but there’s a lot you can do to manage the space efficiently. Avoiding these mistakes is one of the best ways to ensure your bedroom becomes the sanctuary you’d love to retire to at the end of a tiring day! If you are looking for experts to design a space for you that’s aesthetically and functionally perfect, get in touch with Hipcouch today! Newer PostCrazy About Colourful Sofas? Read This Before You Buy One! Older PostPsst... Want In On The Secrets To A 'Child-Friendly' Home?